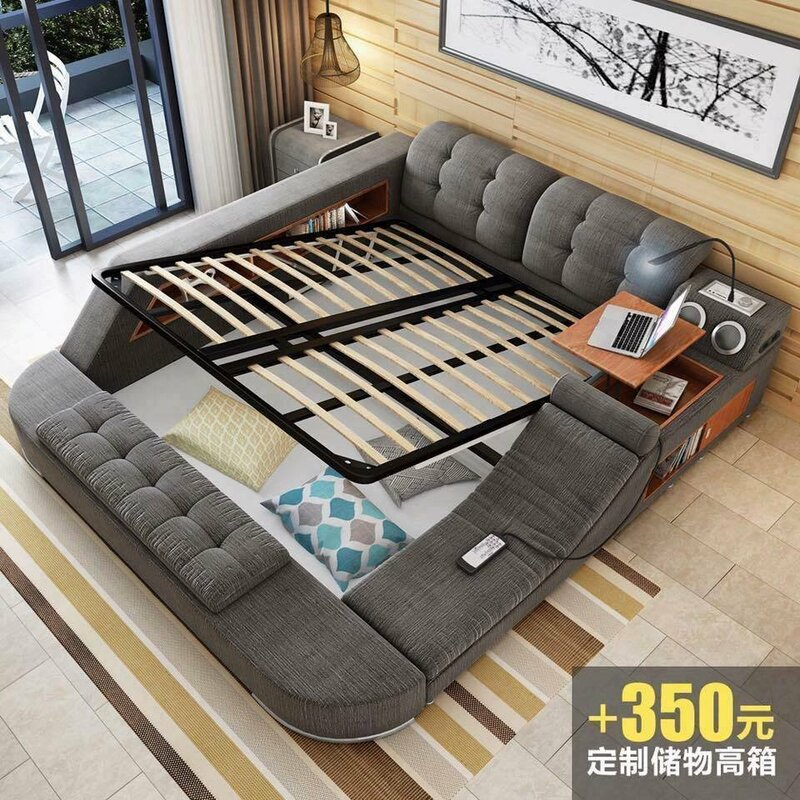 Have you ever heard about a bed so comfortable you never want to leave and that’s also super functional? 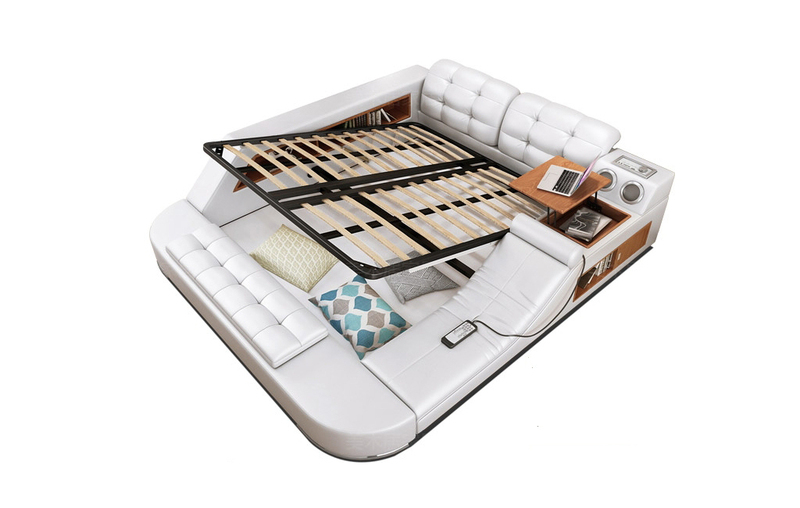 Take a look at the ultimate bed, one that not only looks cool, but is packed with ingenious design features to ensure you’ll never want to leave. 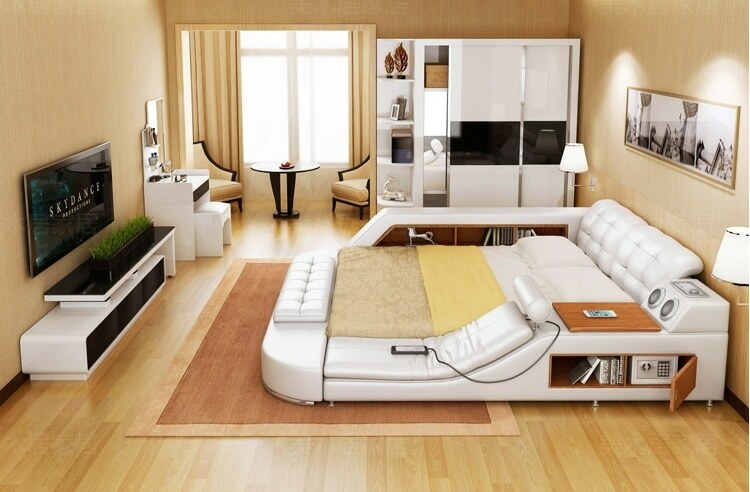 Sold across a wide variety of Asian retailers, this modular bed is fully customizable and has endless amounts of storage. Want to charge your gadgets while you sleep? No problem. This multifunctional furniture piece has both plugs and USB hookup. And built-in speakers mean you can play music direct from your devices. If you aren’t sleepy just yet, just stretch out on the built-in massage chair and listen to some tunes. 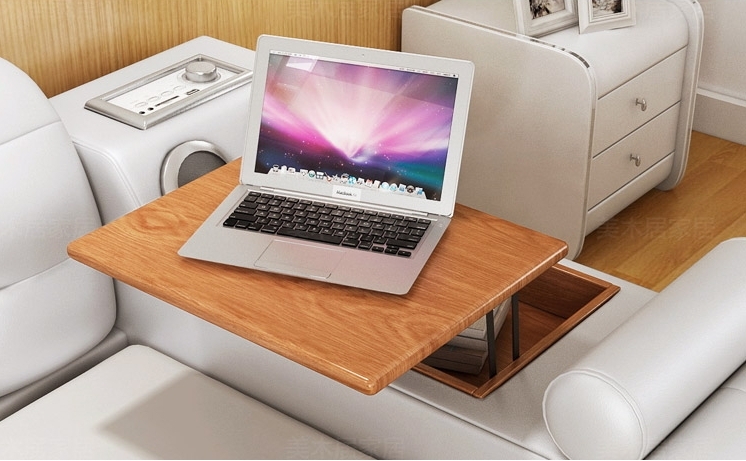 Or if you want to get some work done, a laptop table flips up for easy access. 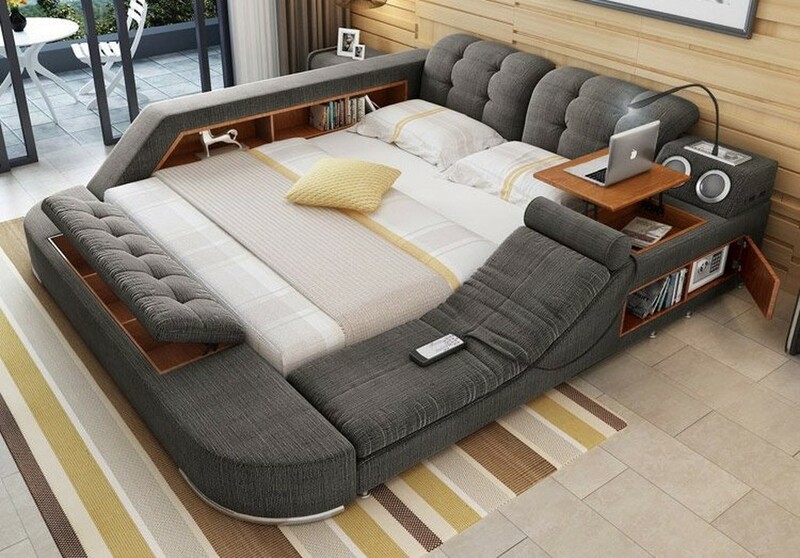 Aside from looking cool and having tech features, this unusual bed also comes with all sorts of storage. Whether you lift up the wood bed frame and store pillows below or hide linens in the built-in bench, there’s a place for everything. The side shelves are the perfect nooks to tuck away your bedtime reading and one area also contains a safe for valuables. 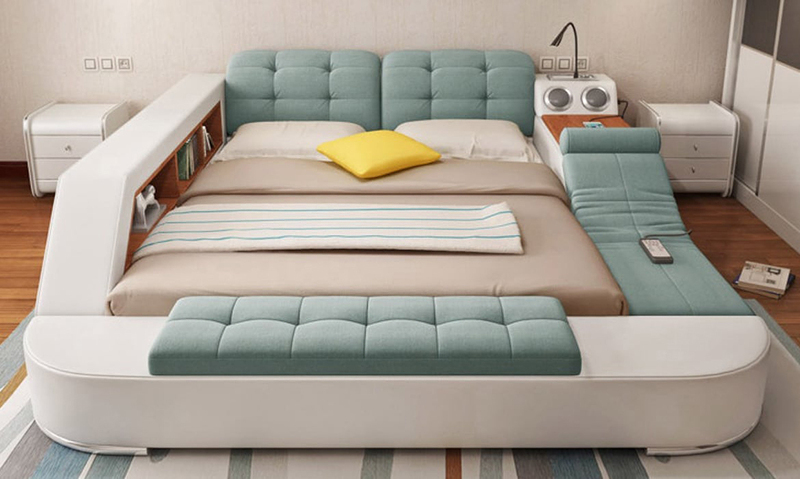 As the bed is modular, you can mix and match which components work for you and move the elements to the side of the bed that suits your needs. It also comes in a wide variety of colors and fabric or what appears as a faux-leather finish. Models range from around $550 to a little over $1,000 depending on the size of the mattress and add-ons selected. 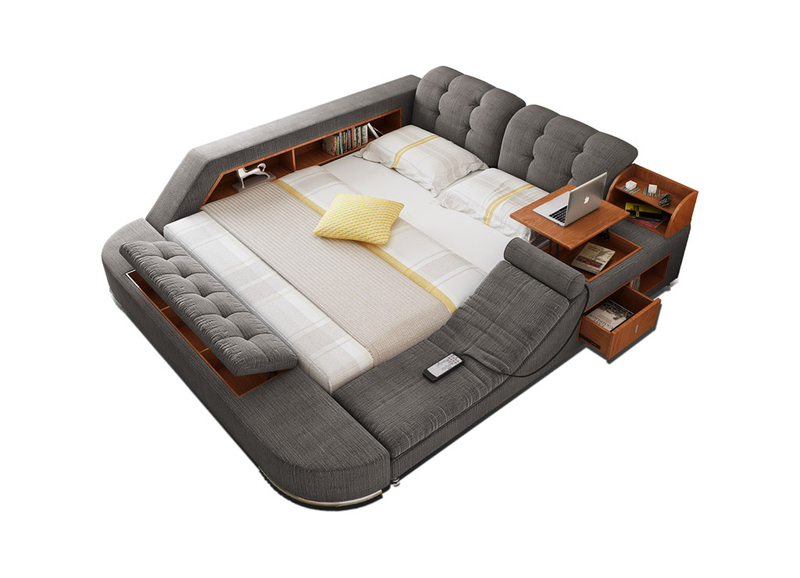 One of the coolest beds we’ve ever seen, this multifunctional bed is an adult playground packed with features.